Everyday Carry (EDC) items make great gifts. The receiver is reminded of (and may thank) you every time they use it. The interns have tried out quite a number of EDC items over the years. 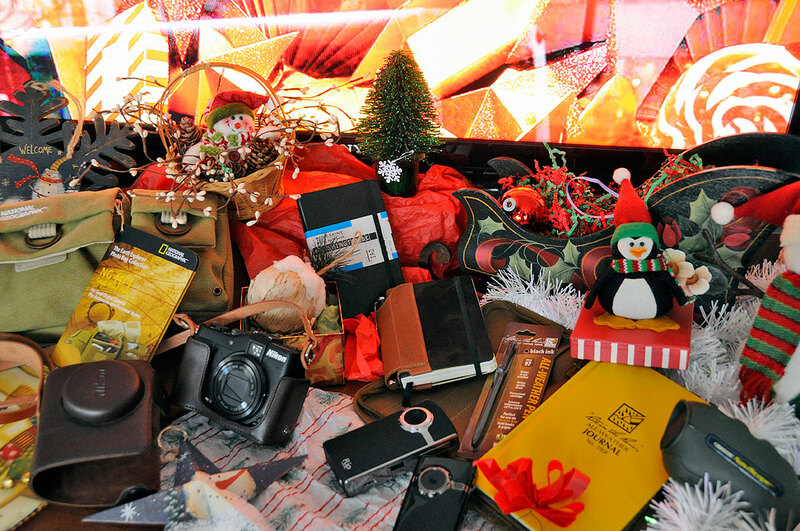 They have gathered some of their favorites for this year’s Gear&Gadgets gift guide. The EDC gear from Columbia River Knife and Tool (CRKT) have been a hit with the RainyDay crew ever since we looked at their I.D.Works line. The ZillaTool is a great EDC item. However, we think their their interchangeable Flux system is the best EDC line currently on the market. There are five different interchangeable components (knife, driver, wine tool, LED, Flash) to the FLUX System. Combine and take what you need, leave everything else behind. Absolutely brilliant! One interesting new CRKT EDC item is the Tao Pen. The pen is a perfect for anyone looking for a non-edged defensive instrument. Check out the details of the Tao Pen here. 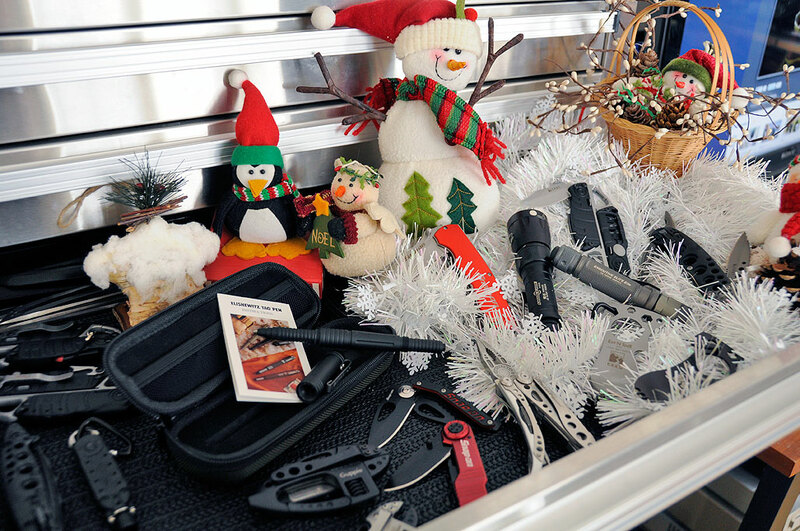 Of course, Leatherman and Snap-On have excellent EDC offerings as well. The Leatherman Skeletool and the Snap-On pocket knives (multi-function , folder ) are handy items to have within reach for many daily situations. Yes, we know the Flip has been discontinued, but that does not take away from its worthiness as an ETC item. We like both versions and the quality of the HD video is excellent, but the UltraHD, which can use AA batteries, is more versatile. The Nikon P7000 is a point-n-shoot which has full manual capabilities. It is an excellent choice when a full-size SLR is not a practical travel companion. We have paired ours with a form-fitting case and a high-quality Leathinity strap. Keeping a log of one’s travels documents the details for the write-up back in the office. We have found that even with all of today’s digital gadgets (PDA, cellphones, iPads, etc…), nothing beats putting pen to paper. Moleskine have known this for a long time. Their line of city-specific jounals is a great way to keep track of notes, thoughts, and finds. To make carrying a pen with the Moleskine journal easier, pair it with a Quiver pen sleeve. These clever pen holders will securely hold your favorite writing instrument in place until you are ready to use it. If your travels take you to challenging climes, Rite-In-The-Rain water-proof journals may help keep the ink from running off the page. Carrying stuff while on the road is best done with a well-designed pack, both for accessiblity and security. 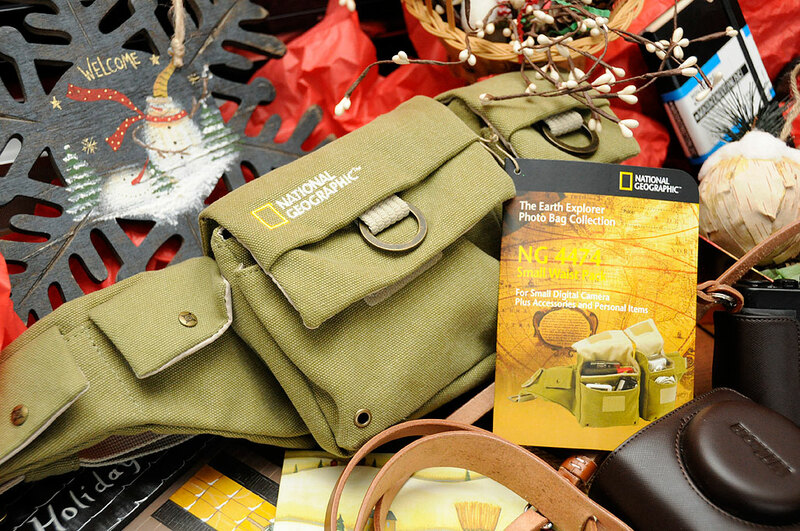 The small waist pack from National Geographic is specifically created for carrying personal gear when traveling. It has zippered pockets, padded sections, and other features for comfort, protection, and security. Each bag in the EARTH EXPLORER collection has solid brass buckles with an antique finish and is manufactured from a variety of environmentally friendly materials. We will have a closer look at this entire line in 2012. EDC and ETC items make great gifts and wonderful stocking stuffers. They will be appreciated everyday or on every trip. Have a great Holiday!